Freshly redesigned for the model year, the 2019 Porsche Cayenne promises many great things. This entrance into the third generation of Cayennes boasts a brand new E-Hybrid variant, has more engine options than ever before, and has some of the best handling capabilities for a vehicle in its class. 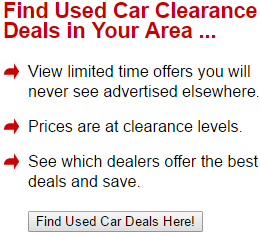 But if you are looking for a great deal on a luxury vehicle with a ton of features, the Cayenne is not it. Still, those who can justify the price tag won't mind spending a little more to get the additional features that Porsche has slapped onto the mid-level S trim or the line-topping Turbo. The 2019 Porsche Cayenne has been completely overhauled for the model year, so there are many changes to see inside and out. The Cayenne now has an E-Hybrid model that is powered by a 3.0-L V6 engine and electric motor. There are also more engine choices than before, and each one packs a good amount of power. Somehow, despite having larger 21-inch wheels equipped, the 2019 Porsche Cayenne provides a relatively smooth ride quality. This large SUV handles better than expected, too. If you decide to opt for the torque vectoring system on the Cayenne, you will find that it rather surprisingly does not infringe on the vehicle's ride quality. Overall, the Cayenne is able to stay quiet, absorb most of the shocks it encounters while on the road, and provides all occupants with a sense of comfort. Additionally, handling on the new Porsche Cayenne is even better than before. Of course, handling was already excellent on the last generation even though those models had a tendency to nosedive due to being so front-heavy. The 2019 line-up has been adjusted so that the Cayenne can handle absolutely any situation that it encounters on the road. Taking turns is easy, and there is not much body roll to speak of, which is an impressive feat for such a large vehicle. Those who crave a strong engine will enjoy having three different options to choose from on the 2019 Porsche Cayenne. Regardless of which one you pick, you will find that the amount of power these engines produce is more than sufficient. The base trim is powered by a 3.0-L V6 twin-turbo that is able to get 340 hp and 332 lb-ft of torque. Taking a step up from that, the Cayenne's S trim comes with a 2.9-L V6 twin-turbo that amps the hp up by 100 to 440 and puts out 406 lb-ft of torque. Sitting at the top of the line, the Turbo is powered by a 4.0-L V8 twin-turbo; this engine generates a whopping 550 hp and 567 lb-ft of torque. In other words, you really can't go wrong with any of these incredibly strong options. Is money no issue for you? 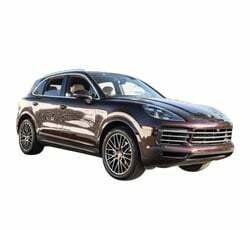 Buyers who are looking for a vehicle that they can customize to their liking should definitely consider the new Porsche Cayenne, as the list of optional features and packages that can be equipped seems almost endless. For example, upgrading to the S trim nabs you upgraded leather upholstery, glass that is acoustic-damping, a surround-view camera system, and even a fire extinguisher that can be equipped for an additional $140. The list of features for the Turbo trim is, as you might have guessed, even larger. With an SUV of this size, there is plenty of space to be found within the cabin of the 2019 Porsche Cayenne. Porsche has always possessed a knack for nailing its interior design, and the amount of space created inside the Cayenne reflects this. As part of the redesign, Porsche has added 2.5 inches in length and about 1 inch in width to the vehicle. Up front, there is plenty of head, shoulder, hip, and leg room available. Even the rear seat can comfortably fit most adults. One of the best things about each engine option on the Porsche Cayenne is that they all offer swift acceleration speeds. Regardless of which engine you have equipped, the Cayenne can go from 0 to 60 mph in less than 6 seconds. This outperforms quite a few of the Cayenne's competitors and, of course, makes for quite the thrilling ride. As for top speeds? The base trim can easily reach its maximum of 152 mph. Looking for a way to minimize your ecological footprint and save a little money at the pump? The 2019 Porsche Cayenne has an E-Hybrid model that will likely appeal to you. The E-Hybrid can run on electric power alone for up to 27 miles, and its swift torque peak means that the vehicle quickly gets supplied with sufficient power. Included in the E-Hybrid is the Porsche Car Connect system with E-Mobility, which lets you utilize a smartphone app to quickly access the Cayenne's hybrid features. Nothing spells luxury quite like an abundance of infotainment features, and the new Porsche Cayenne certainly outdoes itself (and much of its competition). This vehicle comes with a standard 12.3-inch touchscreen display that gives off crystal-clear images, a gauge cluster screen, multiple controls mounted on the steering wheel, and new and improved voice commands. Additionally, smartphone app integration via Apple CarPlay and Android Auto comes standard on every trim level. The 2019 Porsche Cayenne is built for luxury but definitely has safety in mind. Standard safety features on the Cayenne include a forward collision warning system with automatic emergency braking, a rear-view camera, and an in-vehicle assistance service. Optional safety features on the base trim include blind spot sensors and adaptive cruise control. On the higher trim levels, many of these features come standard. The Cayenne's cabin isn't just spacious; it has been carefully crafted and arranged. Even non-tech savvy drivers should not struggle with figuring out the controls, which seem to be intuitively laid out. The entire dashboard seems to be logically ordered, and Porsche has left the ignition on the left-hand side of the steering column, so drivers with Porsche experience will know what to expect. Overall, the design is upscale and contemporary, even bordering on a next-gen feel. 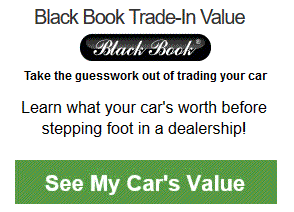 Prepare to spend a good amount of cash as you stack up optional features. Equipping optional features on the base trim alone can take a $66,000 vehicle well over the $125,000 mark. As for the line-topping Turbo, you can easily spend over $185,000 trying to fully equip it. If you are on a budget, you will need to carefully plan out how you choose to customize your 2019 Porsche Cayenne. While the Cayenne is not completely terrible in terms of its lacking cargo space, there are a few competitors out there who offer more. With all seats in place, the Porsche Cayenne offers just 27.1 cubic feet of cargo space. Folding the rear seats down maximizes this number to 60.3 cubic feet. Unfortunately, this is one of the biggest drawbacks to driving a crossover luxury SUV like the Cayenne. Steering does not have the most natural feel on the 2019 Porsche Cayenne. It can feel a little bit more firm than you might expect from a crossover luxury SUV. However, this is rather typical of a Porsche, as they are known to give a good amount of bulk to their steering. The suspension does have a tautness that offers minimized compliance, so things can feel a bit jostled. Notice anything unique and fresh about the exterior of the 2019 Cayenne? Probably not. This is because Porsche seems to have left the exterior rather unchanged despite this being a revamp for the third generation. In fact, some of the styling elements hearken back to the 2002 line-up. While the interior and under the hood have been massively upgraded, it is a wonder that the exterior has not received as much attention from Porsche. One of the biggest competitors for the 2019 Porsche Cayenne is undoubtedly the 2019 BMW X6. The X6 is riddled with standard driver aids and also now features Apple CarPlay, which comes standard through a subscription. Like the Cayenne, the X6 has some powerful engine choices, and the ride quality is superb. However, due to the sloping roof line, rear seat passengers have less head space, and there is less room for cargo as well. Another top rival for the model year is the 2019 Land Rover Range Rover Sport. The Range Rover Sport has a new plug-in hybrid variant that can get 31 miles of electric-only range, thereby outdoing the Cayenne's E-Hybrid. Handling and steering on the Range Rover Sport are both excellent, and there is plenty of cargo space that can be utilized. The biggest downside is that the vehicle's Touch Pro Duo infotainment system is far from being user-friendly. It is no small wonder that buyers continue to invest good money in Porsche. The 2019 Porsche Cayenne might have a hefty price tag when you add on a bunch of options, but this can also be justified by the power and precision that are wrapped into the overall package.